Latest version of ezW2Correction software now available with a step by step guide to accurately export W2 and W3 correction forms. Visit http://www.halfpricesoft.com/w2c_software.asp for test drive. ezW2Correction 2017 software offers a new step by step guide to accurately export and file W2 and W3 form corrections. 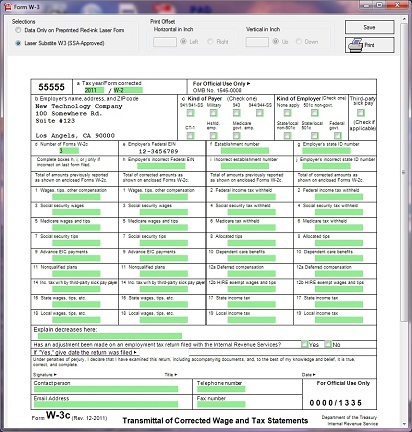 Developers at Halfpricesoft.com have updated a step by step export guide for ezW2Correction tax form preparation software. The guesswork has been taken out of processing corrections with the instructions update, import/export guide, and many other aspects of the correction filing process. (Copy A, B, C, D, 1 & 2) and W3C on plain white paper. Potential customers can easily download and test the application for compatibility by visiting http://www.halfpricesoft.com/w2c_software.asp. 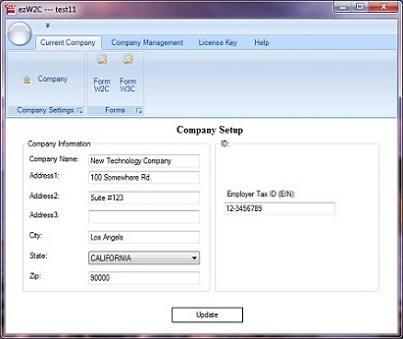 As with all software from Halfpricesoft.com, ezW2Correction has a user-friendly design that allows customers to get started immediately after installation from http://www.halfpricesoft.com/w2c_software.asp, even if there is no accounting background. The software’s point-and-click simplicity makes it ideal for small business owners who have better things to do than learn complicated software. ezW2Correction software can print W2 correction (copy 1, 2, A, B, C and D) and W3 correction on plain white paper ( SSA approved). 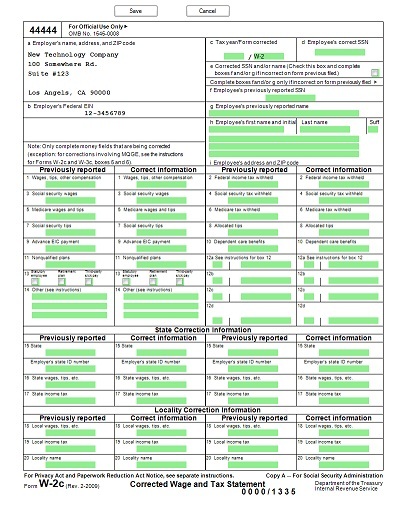 ezW2Correction can fill data on pre-printed forms too. 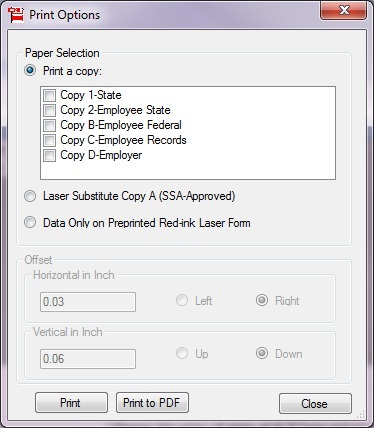 ezW2Correction can print recipient copies into digital PDF file. Priced from only $49 for single user version, the new W2 and W3 form correcting software combines ease of use and cost effectiveness. Also, the ezW2Correction offers print and mail or efile versions for customer convenience. Visit http://www.halfpricesoft.com/w2c_software.asp to test the software for compatibility. Founded in 2003, Halfpricesoft.com has established itself as a leader in meeting and exceeding the software needs of small to midsize businesses all across the US. The applications available range from payroll software, accounting software., employee attendance tracking software, check printing software, W2 and W2 correction software, 1099 software and ezACH Deposit software. It continues to grow with its philosophy that small business owners need affordable, user friendly, and risk-free software. 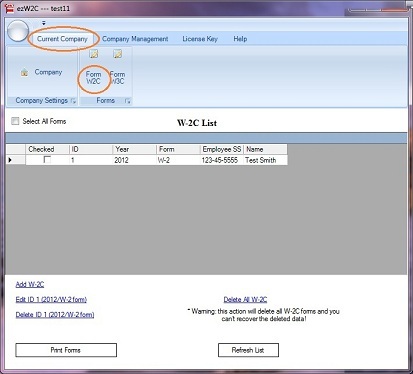 Prepare W-2c formpreparing and printing W-2c form made easy with ezW2c software from halfpricesoft.com W2c software - company setupezW-2c software's graphic is easy-to-use and user-friendly ezW2c supports unlimited companies, forms and recipentsezW2c supports unlimited companies, forms and recipents with no extra charge. EzW2c print all w-2c forms and w-3c on blank paperezW2 can print SSA-approved W-2c and w-3c forms on blank paper prepare W-3c formprinting w-3c form made easy with ezW-2c software Simple and affordable ezPaycheck payroll software for small businessEzPaycheck payroll software helps streamline small business accounting.